All of RIGS’ guides are professionally certified with all of the necessary license and permit requirements. Be aware of guides conducting “rogue trips” or persons holding themselves out as guides. Without the proper Colorado fishing license and permits, they are not covered under the outfitter’s insurance and license. This practice is illegal in Colorado. At RIGS, flies are included in the Fly Fishing trip price. However, waders, boots, rods, reels, private water fees and fishing licenses are not included. Please ask our reservations staff if you have any questions regarding this. And, of course, guide gratuity is always appreciated. 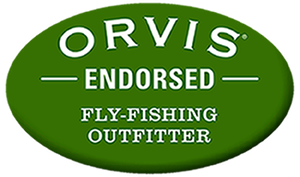 *Fly Rod & Reel and Wader & Boot Rentals are available separately. If you’re coming from a different part of the country, or the world, you may not be used to Colorado’s elevation, dry weather and abundant sunshine. Make sure to keep yourself hydrated during your entire stay in Colorado, limit your alcohol intake, ease your way into strenuous activities, and be sure to pack sunscreen, a hat, and lip balm. Reservation Policy: A 50% deposit is due at time of reservation, with the remaining balance due 48 hours prior to trip departure. At this point your trip is considered non-refundable. If we are unable to obtain authorization on your credit card and cannot reach you, your reservation will be considered void. A confirmation email will be sent to you at the time of payment confirmation. It is the client’s responsibility to reconfirm receipt of all details contained in the reservation confirmation email including: trip location, meeting/departure times, appropriate attire, and expectations. Cancellation Policy: Cancellations made prior to 48 hours will forfeit a cancellation fee of $20 (per person). Cancellations that occur within 48 hours of trip departure, will be considered non-refundable. Cancellations must be received via email (info@fishrigs.com) with a written response confirming the cancellation. This policy applies to all fly fishing trips, regardless of reasons for cancellations – no exceptions. We are not responsible for cancellations due to weather conditions, road hazards, vehicle breakdowns, medical emergencies, or other unforeseen conditions which may hinder our ability to safely conduct a trip. We reserve the right to modify or reschedule any trip if last minute water levels, weather conditions, or other circumstances arise which are beyond our control. If these circumstances arise, we will provide an alternative location, if a suitable alternative is not available we will provide a full refund. Anything you may needed can be purchased prior to your trip at our Full Service Fly Shop. All rivers located within a one hour of Telluride, Ouray and Montrose Colorado. Directions to Fly Shop. All major airlines service Montrose Regional Airport, located 30 minutes from our Fly Shop. Shuttle Services are also offered for personal vehicle transport on Lower Gunnison River (Gunnison Gorge / Black Canyon) trips. To help you plan your trip, we offer some great links to our Preferred Lodging Partners and Regional Information for Ouray, Telluride & Montrose Colorado. Hunting & Fishing Licenses are available at RIGS Fly Shop. However, we encourage you to Purchase Fishing & Hunting Licenses Online prior to your trip to save time and hassle!